Writing is not a very easy or simple thing. 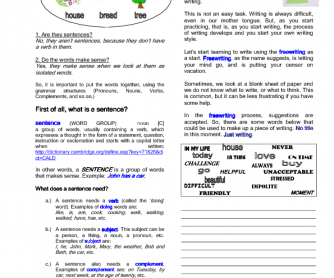 Students all over the world, regardless of their native language, have difficulty in writing in English. 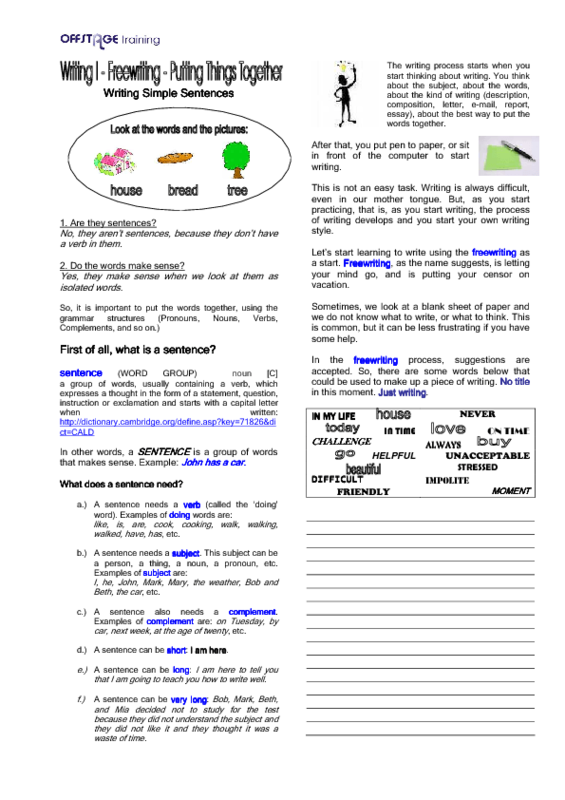 This worksheet gives some guidelines on the steps to a good writing, on how to put things together and a practice exercise using words to make a meaningful piece of writing.